But while scientists and climate-policy experts welcome the new momentum ahead of the Lima talks, they warn that it now may be impossible to prevent the temperature of the planet’s atmosphere from rising by 3.6 degrees Fahrenheit. According to a large body of scientific research, that is the tipping point at which the world will be locked into a near-term future of drought, food and water shortages, melting ice sheets, shrinking glaciers, rising sea levels and widespread flooding — events that could harm the world’s population and economy. After more than two decades of trying but failing to forge a global pact to halt climate change, United Nations negotiators gathering in South America this week are expressing a new optimism that they may finally achieve the elusive deal. Even with a deal to stop the current rate of greenhouse gas emissions, scientists warn, the world will become increasingly unpleasant. Without a deal, they say, the world could eventually become uninhabitable for humans. For the next two weeks, thousands of diplomats from around the globe will gather in Lima, Peru, for a United Nations summit meeting to draft an agreement intended to stop the global rise of planet-warming greenhouse gases. 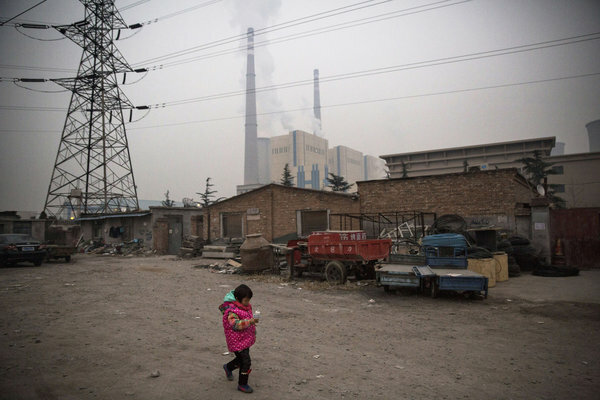 The meeting comes just weeks after a landmark announcement by President Obama and President Xi Jinping of China committing the world’s two largest carbon polluters to cuts in their emissions. United Nations negotiators say they believe that advancement could end a longstanding impasse in the climate talks, spurring other countries to sign similar commitments. Recent reports show that there may be no way to prevent the planet’s temperature from rising, given the current level of greenhouse gases already in the atmosphere and the projected rate of emissions expected to continue before any new deal is carried out. That fact is driving the urgency of the Lima talks, which are expected to produce a draft document, to be made final over the next year and signed by world leaders in Paris in December 2015. While a breach of the 3.6 degree threshold appears inevitable, scientists say that United Nations negotiators should not give up on their efforts to cut emissions. At stake now, they say, is the difference between a newly unpleasant world and an uninhabitable one. “I was encouraged by the U.S.-China agreement,” said Michael Oppenheimer, a professor of geosciences and international affairs at Princeton University and a member of the United Nations Intergovernmental Panel on Climate Change, a global body of scientists that produces regular reports on the state of climate science. But he expressed doubts that the threshold rise in global temperature could be prevented. “What’s already baked in are substantial changes to ecosystems, large-scale transformations,” Mr. Oppenheimer said. He cited losses of coral reef systems and ice sheets, and lowering crop yields.